My name is SAURISH BANERJI. I am from India and I am an extremely passionate car designer and have dreamt of being a proffessional car designer from the age of eight. 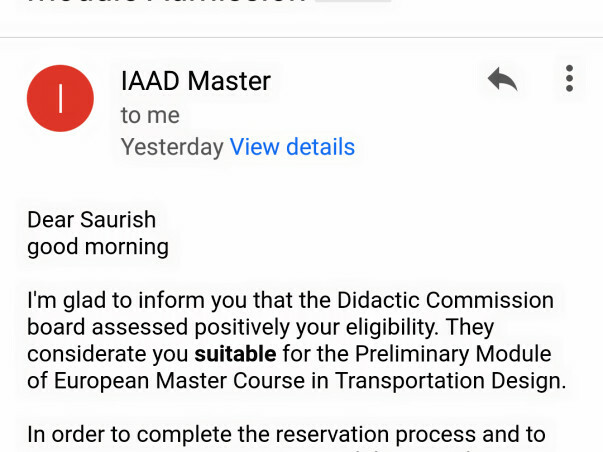 After getting rejected from all the top design schools of India, in total of six times, I hopelessly applied for some European design schools. 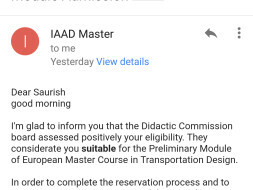 To my surprise I got accepted by IAAD in Turin, Italy. Its a sixteen month course and I need financial help to cover my tuition fees. I need 1200 euros before 22nd of June, 2018 to enroll and confirm my seat, and the rest of the amount before 25th of July. Any charitable person out there who think I deserve to realize my dreams, I will be forever grateful to you. I am grateful for your help!